Times are still tough, financially, for many of us and making ends meet does seem hard at times. Turning unwanted gold trinkets and jewellery into cash might help, as we discuss in this article. Many ladies have some jewellery items and trinkets that somehow have fallen out of favour and now reside at the bottom of a draw somewhere. Forgotten and unwanted, these items, made from gold, could realise some valuable extra cash if times are hard. Being able to sell gold, in this way may well prevent you from needing to take out a payday loan or arranging other short term finance, which can be very costly. Some payday loans charge up to 2000% APR, for example. 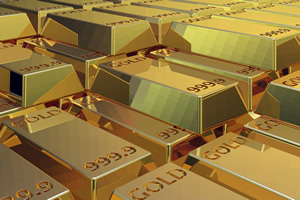 So if you have some gold items that you wish to sell, there are a number of postal cash for gold services available. Once you find a reputable service that pays a fair rate for your gold, they will send you a pack that allows you to send your items via pre paid Royal Mail Special Delivery to the service. Once received they will value your items and then contact you, often within 24 hours, with their offer. If you accept it, they will they pay your money straight into your bank account. If you don’t agree with the valuation they will either revise their offer or return the items, at their expense, to you. Selling your gold items in this way, is probably a last resort to be used when things are particularly tough. Doing this can often be preferable to taking out a high interest short term loan or, and is definitely better than turning to a loan shark. You might also find that your high street jewellers could be interested in buying your gold items too, if need be. Remember though, that the price of gold is high at the moment so negotiate hard to get the very best deal. Never been a better time to sell gold. Estate Agents Fees Exposed: What Exactly Are You Paying For?